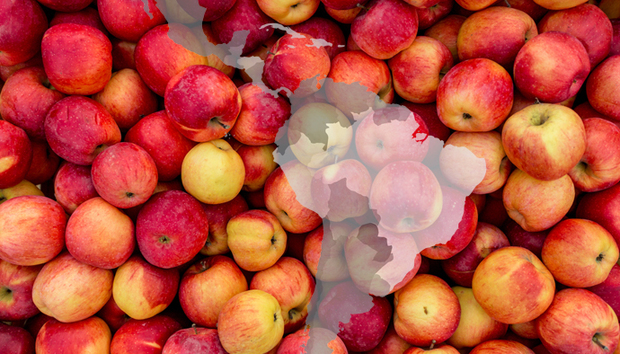 What are Apple's chances of success for its Latin American retail push? Apple isn’t letting up with its retail store expansion plans and a hard push into the Latin American market appears to be on the cards. Originally reported by Apple Insider, an Apple news outlet that has typically been reliable when it comes to scoops on the Cupertino company, the news was eventually confirmed that Apple will open up a new flagship store in Mexico City with a second store in the works. This will all eventually lead into South America in the future. Since the announcement, it has begun hiring for its new stores. However there’s no indication of when these stores will open but Mexico has been on the company’s radar in the past and with locations secured or leases in place, the company will likely move fast. It’s surprising that this hasn’t happened sooner considering how many stores Apple is opening globally on a regular basis. Currently Apple has only two brick and mortar stores in LatAm in Brazil – in Rio de Janeiro and Sao Paolo – despite having a hefty retail presence across Europe, North America, and countries like Japan. Once Mexico City’s stores are up and running the company is reportedly expanding into Peru, Chile, and Argentina so it doesn’t appear to be wasting any time. Apple has been aggressively expanding its physical retail presence every year. China has been a key focus and just recently it signed off an application to open stores in India. Latin America is a logical choice for its next retail stop but what is the market like? Latin America trails just behind North America and Europe when it comes to smartphone penetration. Sales have been reasonably strong for iOS devices in the region but Android still has a sizeable foothold. However, according to figures from research firm Counterpoint, Apple’s market share in LatAm is growing while some other major Android players have fallen. Its research claims that Apple’s share of the market grew from 5.4% in Q1 2014 to 10.1% in Q1 2015 with Samsung falling from 38.4% to 29.5%. Even with that in mind, as smartphone penetration has grown in the LatAm market, there’s been a particular focus on cheaper models from the like of Xiaomi, who entered Brazil last year. With its higher price point, could the iPhone face challenges from the more modestly priced Android handsets flooding the market? Also, Latin America is a large region for any business to step into and so each individual country will throw up its own unique challenges. Retail in Argentina is notoriously more expensive, especially when it comes to consumer technology thanks to some high levies on retailers in the country. Apple doubling down on its retail aspirations appears to make sense on first glance though. iPhones have been wildly successful with sales setting records, especially since the launch of the iPhone 6. However it can’t be smooth sailing all the time. The Apple Watch hasn’t quite taken off as was hoped and the latest iPad hasn’t turned around the flagging interest in tablets. On January 26th, Apple posted its latest earnings report for Q4 2015 and despite reporting a record quarterly profit of $18.4bn, it warned of a slowdown in device sales for the first time in many years. It sold 74.8 million iPhones in the quarter, which is still up from 74.5 million this time last year, but the rate of sales wasn’t up to 75 million, as shareholders would have liked. Apple has done nothing but go up and up since the first iPhone was released in 2007. Now the fear comes that the only way is down (if only for a moment), so what kind of effect could this have on its retail plans? The first answer is that Apple is still better placed than its competitors. The slowdown in sales isn’t unique to Apple. Samsung the same week posted another weak earnings report after many difficult quarters in succession but in the case of Apple, it’s the first blip in an otherwise very strong quarter. Nevertheless, Apple appears strong-willed in the future sales of its devices. An iPhone 7 is inevitable and, if history is anything to go by, will rebound sales of the smartphone in the face of plateaued iPad interest. Meanwhile the bricks and mortar retail arm of Apple marches on with more and more stores in Europe and Asia. Recently, Apple’s senior vice president of retail Angela Ahrendts boasted Apple stores’ high levels of employee retention. Apple will be hoping for some similar effects on its retail ambitions in Latin America. Latest market reports for Mexico show strong retail numbers and given Apple’s ongoing winning streak, putting recent phone sales figures aside, Latin America still seems like a good bet for its retail stores.